With our Full Members now distributing Flyers i though it good idea to find out where are new members find the club from. Please vote in the Poll where you joined from. If you got a Flyer, Please state where your car was parked when the flyer was posted. If you did general web surfing, then what were you looking for when you found us! Just doing some general surfing for info on my Aygo and came across the site. I was seeing if there was an owner's club and google it and this was the first on the list! Reedy found this site by following a link from the Vaseline forum! found it whilst looking for c1 accessories joined up when i found it shortly after buying the car! 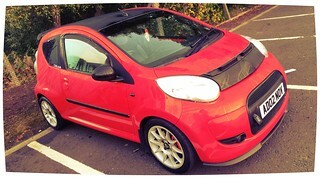 I entered "Citroen c1 Forum" in my search engine.......Bingo..